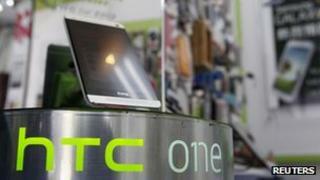 Samsung is alleged to have hired students to post negative comments about phones made by Taiwan's HTC. Samsung, based in South Korea, said the "unfortunate incident" had gone against the company's "fundamental principles". If found guilty of engaging in "false advertising", Samsung and its local agent could face fines of up to of 25m Taiwanese dollars (£547,000). Taiwan's Fair Trade Commission had begun an investigation after receiving a series of complaints, a spokesman told the AFP news agency. A local website had published documents appearing to show Samsung had been recruiting students to criticise HTC and praise Samsung anonymously on the web, reported PC Advisor. Samsung Taiwan said it had not been told about the investigation, however the subsidiary put a statement on its local Facebook page saying it had "ceased all marketing activities that involve the posting of anonymous comments". It said all future marketing work would be more in line with its company philosophy of transparency and honesty. "The recent incident was unfortunate, and occurred due to insufficient understanding of these fundamental principles," it said, adding that it was planning training for employees to ensure events were not repeated. In early 2013, Samsung was fined by Taiwanese authorities for an advert that misled consumers about the camera on the Galaxy Y Duo.